EditHouse has provided technical consultation services to the Australian Broadcasting Corporation since early 2003. This has included supervising the design of Apple video editing solutions (SANs ranging from 2 to 26 clients) at each ABC capital city site and Ignite television studio automation systems in all ABC News TV studios. Both projects required the integration of traditional broadcast systems within a corporate IT environment. 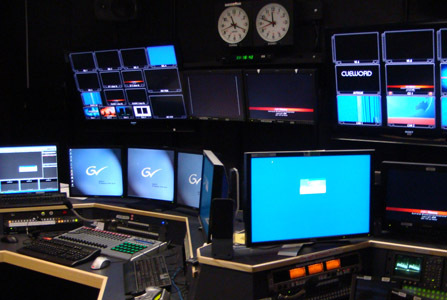 In 2003, EditHouse provided the engineering design for the Television Sydney (TVS) bid for Sydney's community broadcasting license. This included a design philosophy, schematic drawings and equipment budget for a fully functional community television station. In March of 2004, this bid was declared successful, and the ABA allocated the Channel 31 television license to TVS. During 2003, EditHouse was contracted to develop eight modules for TAFE's Diploma of Screen, including Operate Master Control, Configure Broadcast Software, DVD Authoring and Manage Multimedia Assets. EditHouse's own facilities have included Avid, Final Cut Pro, DVCAM and Betacam systems. 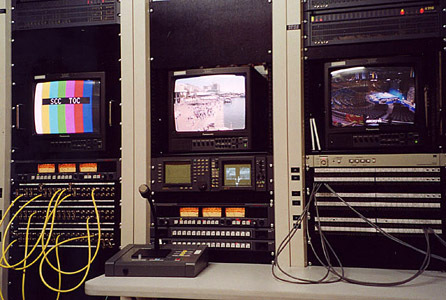 Television monitoring racks (circa 2000). Television studio control room (circa 2011).